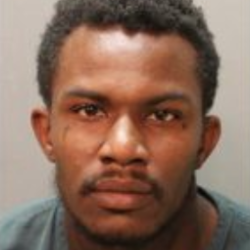 Police say a Wednesday night carjacking in Moncrief resulted in the victim being sent to the hospital after being badly beaten, and the shooting death of a suspect, 24-year-old Tony Smith Jr., by a police officer in the Hilltop Village apartment complex. It happened in the 7100 block of Lem Turner. Police say the victim was packing his things into his truck when he was approached by four men, one of whom was armed. JSO says the four suspects left the victim unconscious after a brutal beating and left with his truck and belongings. On-Star sent the location of the vehicle to authorities, and police were able to spot it near the Hilltop Village apartments about a mile and a half away from "Star Wash."
Police say all four suspects fled from the vehicle on foot, and in the ensuing pursuit, they Smith was chased up to the third floor landing by officer Rodney Deconti. Police said Deconti then fired a lethal round, but did not say where the suspect was struck.